Do you have recommendations for Rose of Sharon Home Health, Inc.? 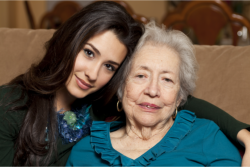 Schedule an appointment for a care coordinator consultation at our office or in your home. Rose of Sharon Home Health, Inc. is a well-known and trusted provider of Personal Assistance Services in Crockett, Texas. To request for care coordination that involves Personal Care, whether it is for yourself or a chronically ill loved one, please call 713-367-7275 today. To provide personalized health care of the highest standard to these communities we serve. Our method is that of a collaborative health and medical care involving the patient's Physician and other health care Professionals. We provide extensive healthcare services that are carefully crafted to answer the needs and the demands of our patients. We are driven by the passion to serve and the willingness to take part in improving and maintaining our patient's desirable state of health and wellness. We will love the opportunity to serve you and your loved ones.